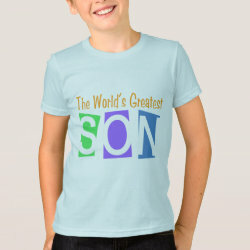 This is a great gift idea for your son! 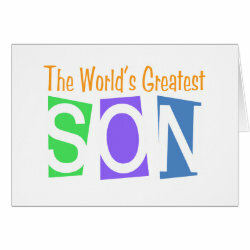 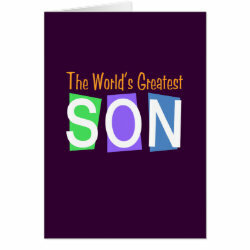 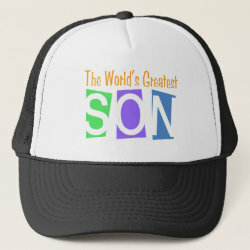 Text reads "The World's Greatest Son" with bright blocks of color backing the word son. 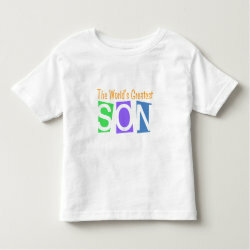 An original More... design with a retro feel! 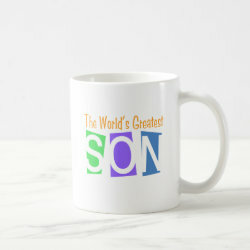 The white letters spill out of the color background, giving the design a different look on light products versus dark products.